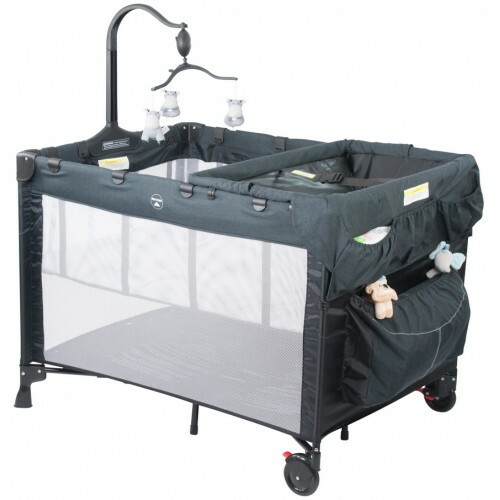 Provide your baby a comfortable place to play and rest while visiting family and friends. The Melange 4-in-1 portacot includes – bassinet for newborn, foldaway change table and full size cot and Musical mobile with soft toys. 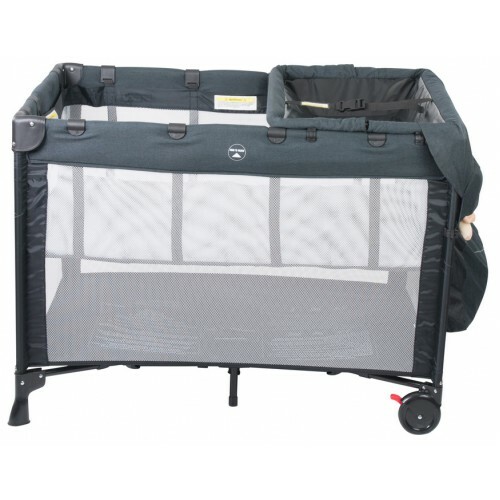 This cot has it all with a clip on bassinet for newborn, easy foldaway change table, a full sized cot with a comfy mattress and musical mobile with soft toys for entertainment. 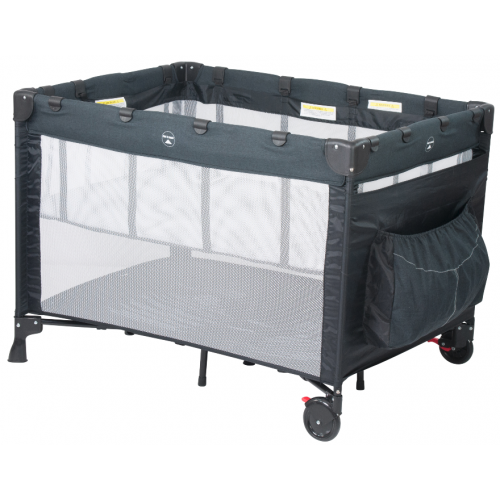 Easy to assemble portable cot, with a compact fold for easy storage and transport when visiting family and friends! Music mobile and plush toys to delight and entertain your baby. 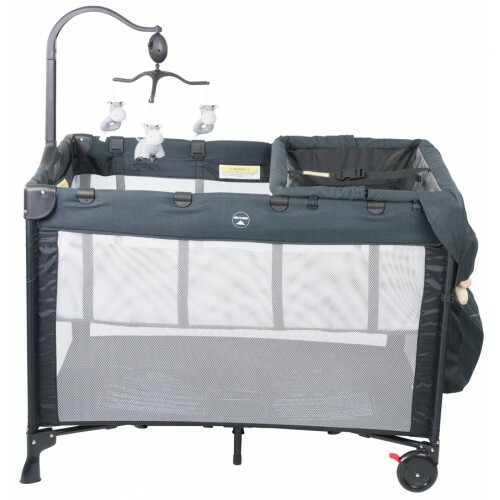 With a Bassinet, Change Table with adjustable harness, Musical mobile with soft toys and Travel Bag. If you find yourself travelling without access to a changing area attach the fuss free change table.